Educators of day care centres and youth houses gear up: with training courses and experimental workstations in natural sciences and technology. Children see the world differently. Rather than taking everything for granted as adults often do, they continuously explore and challenge their surroundings through observation, play, trial and error. To foster this natural behaviour in the context of science and technology, the not-for-profit association Anne a.s.b.l, of elisabeth day care centres (Maison Relais) and youth houses (Jugendhaus) in Luxembourg started in 2014 the pilot project “Indiana Jos – op de Spuere vu Fuerscher an Entdecker”, with financial support from the PSP-Classic programme of the FNR. One goal of the project is to develop training courses in inquiry-based learning of natural sciences and technology for educators. These equip them to incorporate these topics in non-formal educational workshops and the daily care of children. In addition, the participating institutions install experimental workstations, where the educators can research and experiment together with the children and adolescents. A central focus of the project is the perspective of the child, who explores the world with curiosity, creativity and a joy for playing and learning. 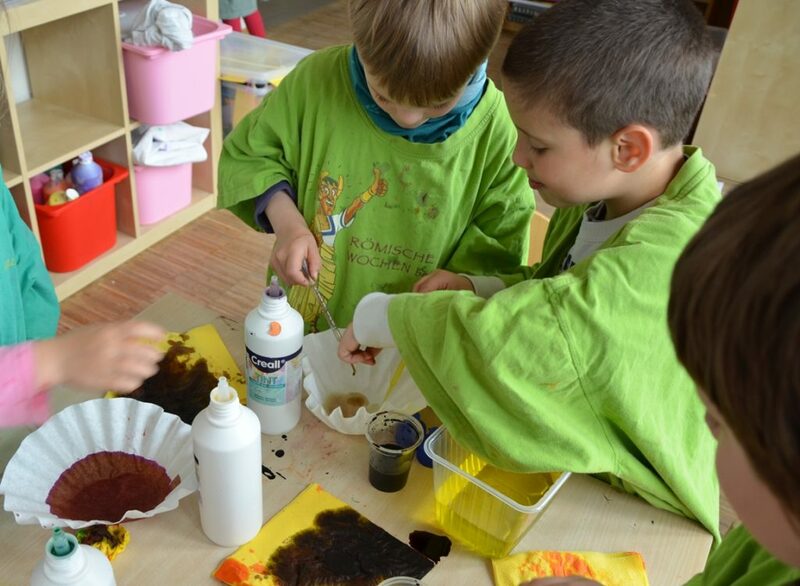 The experimental workstations allow children to be “co-creators”, to design their own learning processes and to pursue their research efforts. Pedagogical specialists and facilitators taking care of children between age 4 and 14 are the main target for the training courses. During the pilot project, 32 educators from 11 day care centres and 2 youth houses developed workshops in 5 research domains per age category. They receive technical and thematic advice from external training partners. The training participants subsequently implement the workshops in their respective institutions with a lot of motivation, fun and exploratory spirit. In addition, they can pass on their newly gained competences to other staff. During the pilot phase, 11 day care centres and 1 youth house also installed experimental workstations. The pilot project ended after 1 year but the initiative continues to grow, with additional support through the FNR PSP-programme. Handbooks were designed to accompany the training and a brochure with observations from the pilot project, conceptual advice and best-practice examples was issued in collaboration with the Service National de la Jeunesse. Additional courses were held with 72 educators and more institutions set up experimental workstations. In 2017, the project will be extended to target audiences outside elisabeth institutions, e.g. by offering training workshops for educators or parents and by cooperating with schools in the framework of the “plan d’encadrement périscolaire (PEP)” on the communal use of experimental workstations. The FNR offers platforms and funding to foster the exchange between science and society. Researchers and science communicators may benefit from training in science communication, take part in events for the general public, and use the FNR media and web channels to communicate communicate their science and research. In addition to these exchange platforms, the PSP programme provides funding for science outreach activities.